CAMBRIDGE, Mass. 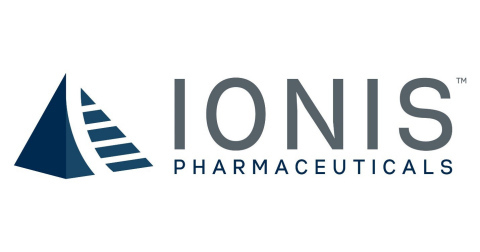 & CARLSBAD, Calif.--(BUSINESS WIRE)--Biogen (Nasdaq: BIIB) and Ionis Pharmaceuticals, Inc. (Nasdaq: IONS) announced end of study results from CHERISH, the Phase 3 study evaluating SPINRAZA® (nusinersen) for the treatment of individuals with later-onset spinal muscular atrophy (SMA), were published today in The New England Journal of Medicine. The full manuscript titled, “Nusinersen Versus Sham Control in Later-Onset Spinal Muscular Atrophy,” appears in the February 15 issue of The New England Journal of Medicine. End of study results from ENDEAR, the Phase 3 SPINRAZA study for the treatment of infantile-onset SMA, were published in the November 2, 2017 issue of The New England Journal of Medicine.